Make no mistake about it: Google's podcast about-face is about much more than the launch of a single new app. I'm no psychologist, but I'm pretty sure Google has an issue with commitment. Podcasts have become an essential part of life. But, it can still be difficult to get started and find new shows you’ll love — and work still remains in making podcasts accessible and discoverable for all. There's another side to this story, though. And it adds a fascinating extra layer into the equation. We launched Google Listen ... to give people a way to discover and listen to podcasts. However, with Google Play, people now have access to a wider variety of podcast apps, so we’ve discontinued Listen. When you stop and think about it, that statement remains true today: Android (and other platforms) have plenty of excellent podcast app options — and many of them, unlike Google's new app, are fully cross-platform and available anywhere. Despite the company's current proclamation, then, it isn't especially difficult to get started with podcasts or to find new shows you'll love. So why is Google really doing an about-face and undoing its earlier "undo," then? Simple: It's all about the ecosystem, baby. Google's focus nowadays is increasingly on establishing itself — Google — as the primary ecosystem in our lives. The Google Assistant serves as the connective tissue that ties that ecosystem together. And what's a key component of the company's new Podcasts app, my dot-connecting companion? Yup, you guessed it: its tight integration with Google Assistant, both on your phone and in your home. 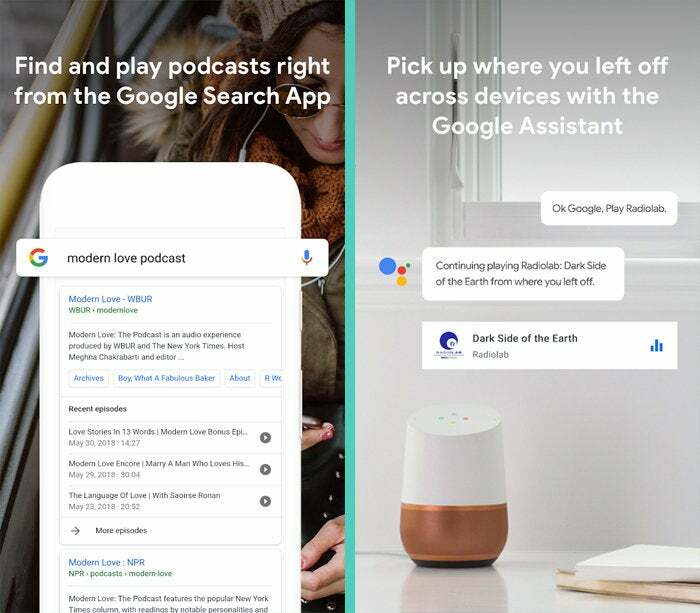 Right now, Google is in the midst of a massive, multifaceted campaign to get as many people invested in this newly focused ecosystem — the Google ecosystem, powered by the Google Assistant — as possible. Understandably, it's all about business, as we discussed in detail earlier this year: Google's financial success revolves primarily around online ads. Everything Google does ultimately serves to reinforce its ability to deliver such ads as frequently and effectively as possible. But as people spend less time surfing the open web and more time using apps and connected devices, the future of the online ad industry is being threatened by irrelevance. Google Assistant, however, is designed to be everywhere. It's carefully crafted to be a next-gen version of that classic Google search box — a version that isn't stuck on your screen but instead follows you wherever you go and works with or without a visual accompaniment. So, yes, launching a new "native" Android podcast app now certainly could increase the number of people listening to podcasts around the world, as the app's product manager told The Verge this week. It could open the door to some genuinely useful new A.I.-powered podcast-consuming possibilities in the future. But Google had a native podcast function available in Play Music already — and in Google Listen before that. If all the company wanted to do was enhance the audio-listening experience and bring it to more people, it could have done so at any point along the way, with any of its previous podcast efforts. What's changed isn't some newfound appreciation for the podcasting medium. 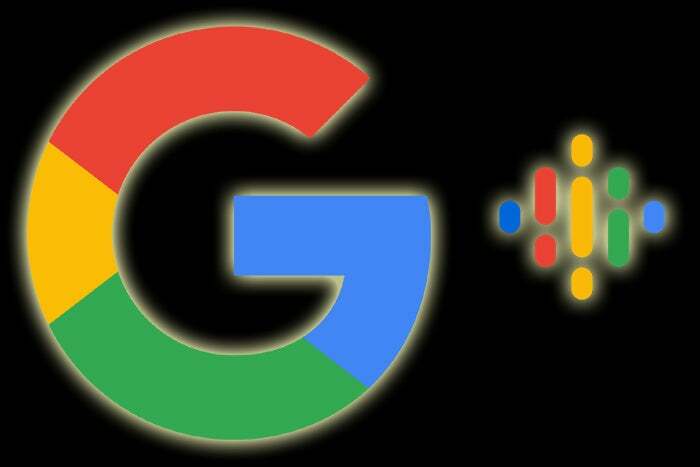 It's a newly pressing need to add more value and reach into the Google Assistant with the hopes of making it a more integral part of people's lives — a tether that keeps us connected to the Google ecosystem from morning to night. The new podcast app, like so many other recently debuted or pivoted Google products, is at its core a vessel for that bigger-picture ambition. Above anything else, it exists to highlight the usefulness of the Google Assistant and to get you in the habit of interacting with that next-gen ecosystem-anchoring interface. The new Podcasts app is but one tiny piece of a much grander and more significant goal, in other words — a goal that, at the end of the day, is all about ensuring Google's survival as the world's default search engine and home page, even in a world where the traditional search box isn't always present. That doesn't change anything about the app's usefulness or appeal, of course. But as an educated tech user, there's value in occasionally pressing pause and stepping back to understand the context of the services in front of you and precisely what their creators stand to gain from providing them.